A ground breaking report has been produced by Runnymede Trust and University of Greenwich, which finds that Black and Muslim offenders are more likely to be badly treated in prison, leading to poorer outcomes and mental health concerns. 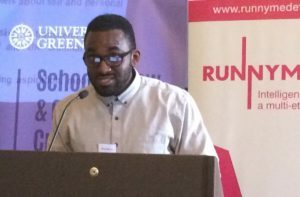 An integral part of the research was a 4-week intensive motivational workshop to BAME prisoners with the most negative outcomes, led by ISCRE’s Community Diversity Officer, Keiran Manners. Much of this work involved the delivery of a series of culturally-informed self-development sessions by Keiran. The delivery of this work fits with the suggestion that providing BAME prisoners with scope to understand the broader structural factors that have impacted upon their journeys to prison, as well as giving them greater confidence in their identity, can lead to more positive outcomes (e.g. Young, 2014). This focus on identity and experiences as BAME men, together with an emphasis on taking ownership and responsibility for their own behaviour and future, was key to the self-change programme. This was a complicated process involving ingredients of ‘sharing truths and facts’ with everyone, discussing how the issues of race, religion and gender were impacting on their experience in prison, helping prisoners to develop insight and showing prisoners the importance of taking control of their rehabilitation and to becoming active agents of change. to be delivered to BAME men as these are the groups who currently appear to have the worst outcomes in prisons. Culturally-aware motivational interventions, like the ones delivered by Keiran during this research, have now been evaluated in four different prisons and have been shown to have positive and wide-ranging impacts on the men. In this research the intervention was viewed by those who attended (prisoners and officers) as something ‘new’ and desirable, and the current research evidence supports its efficacy. 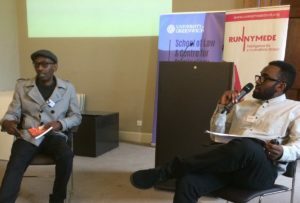 A regular opportunity for Black and Black and Muslim men to be assisted in their self-development could assist them in taking responsibility for their own rehabilitation while helping them navigate prison as Black and Black Muslim men.